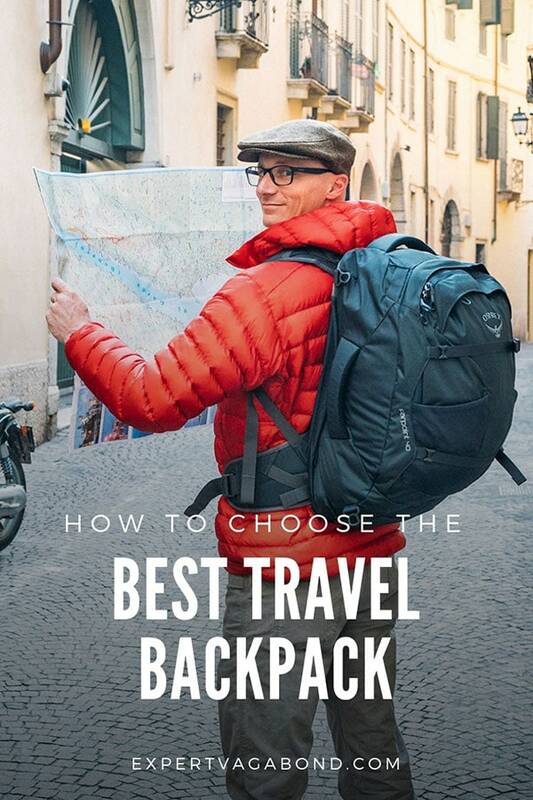 Surrounded by six different national parks (Banff, Glacier, Kootenay, Jasper, Mt. Revelstoke and Yoho), Golden is the perfect base for an adventure in the majestic Canadian Rockies. That’s what I learned after spending a few days hiking, rafting, and mountain biking there. While most visitors stay in Banff, the town of Golden is less touristy, less expensive, and frankly in a better location. Plus if you’re an adventure junkie like me, it’s got all the outdoor activities you could ask for. 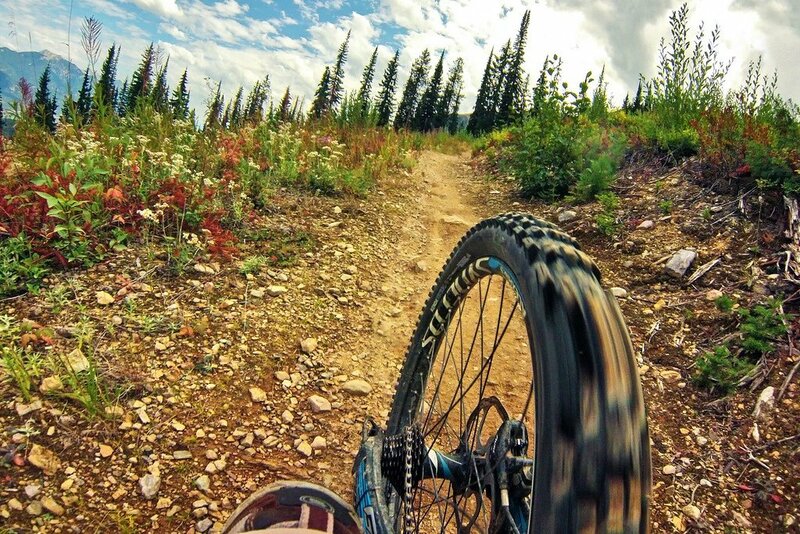 Like extreme downhill mountain biking at Kicking Horse Resort. 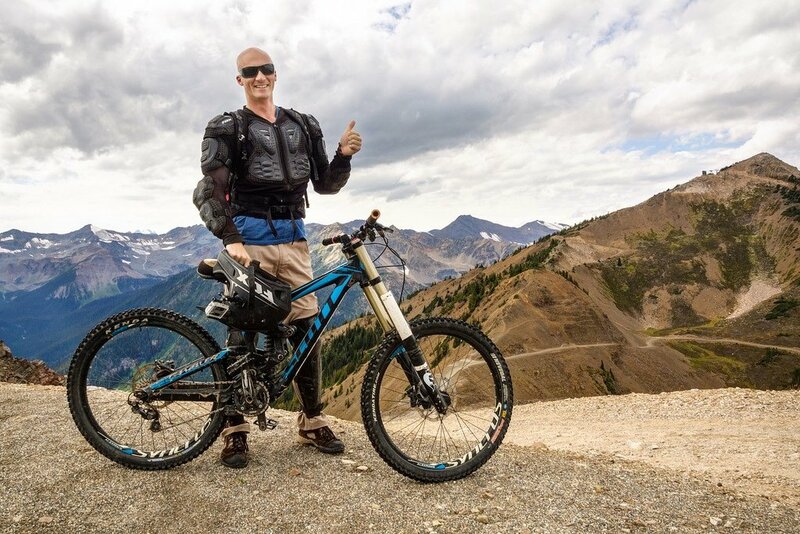 My first order of business was to suit up into full-body armor and pick up a rugged, race-tuned, full-suspension Scott Gambler downhill bike at the base of the mountain. A serious off-road machine for some seriously tough terrain. Once prepared for battle, I hopped on the gondola for a scenic ride to the top of the mountain. On the journey I passed over Boo the Grizzly Bear and his 20 acre habitat. Boo was adopted by the resort as a cub when his mother was shot by hunters, and if you look carefully, you’ll see him eating berries or snoozing down below. At the top, the Rocky Mountain and Columbia River Wetland views from 7,700 feet are stunning! 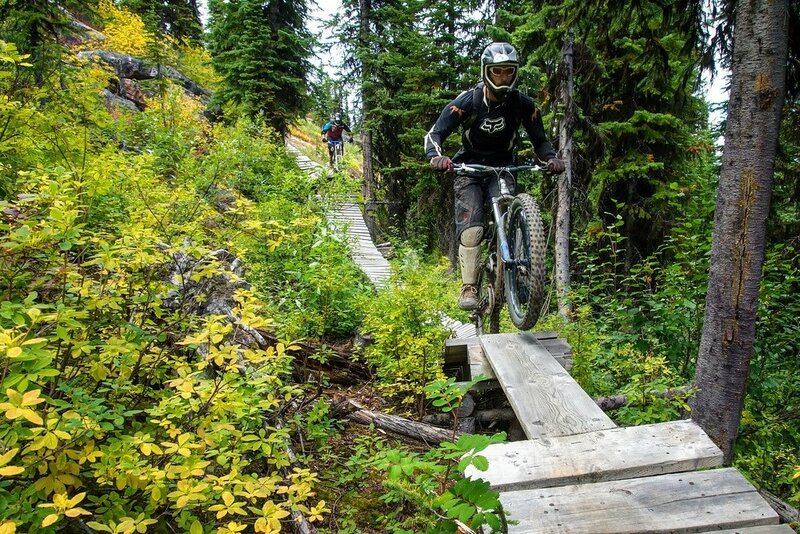 With 29 different downhill trails ranging from beginner to expert, everyone can have fun mountain biking on Kicking Horse mountain. Trails start above the tree-line. Barren & rocky alpine trails snake through giant boulders, steep banked turns, and over wooden structures. Flying down on two wheels attempting to balance speed with control — muscles burning in your forearms as you absorb the rough terrain underneath. Further down the trees begin to appear. The descent continues with fast single-track trails and narrow curved bridges. Zigzagging through trees at high-speed on a mountain bike always sends a flood of adrenaline through my veins! The mountain biking around Golden is so good that large bike events are often hosted here, like the Singletrack 6 being held on July 29th & 30th in 2014. 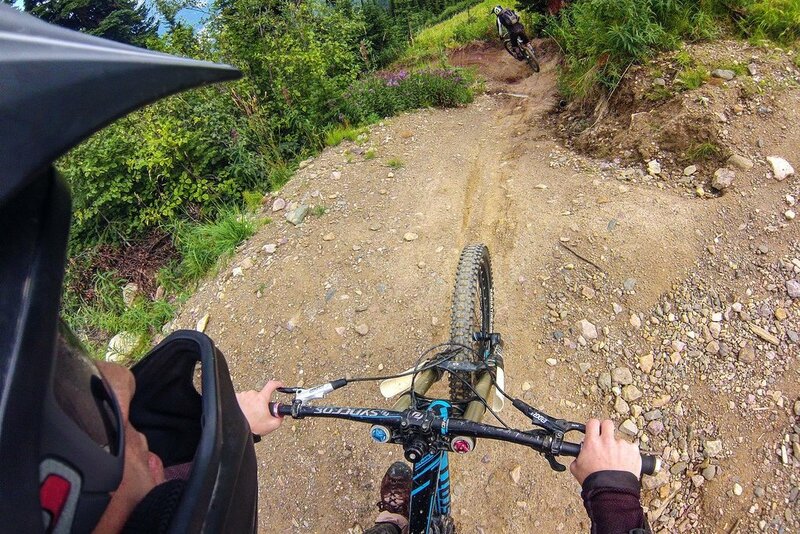 If you’ve never tried downhill mountain biking, it really isn’t as intimidating as it looks. However there are plenty of other summer adventures to experience in the area too, like hiking, wildlife spotting, canoeing, whitewater rafting, paragliding, and more. With an perfect combination of beautiful landscapes, small-town hospitality, and more adventure activities than you can shake a stick at, Golden is a must-see if you happen to be road tripping through the Canadian Rockies. #ExploreGoldenBC is made possible in partnership with Tourism Golden. As always, the content & opinions expressed here are entirely my own. That looks insane. Although I have recently cycled down death road in Blivia, these bridges you cycled over would terrify me as they are so narrow. I’d probably loose my balance and cycle straight off them. I’d love to experience Bolivia’s Death Road one day Tammy. How was it? This looks absolutely terrifying! Thanks for giving us a way to vicariously downhill mountain bike, because after seeing this I’m pretty sure it’s the ONLY way I’ll ever do it! You don’t need to go quite this fast… my first time definitely did not look like this.